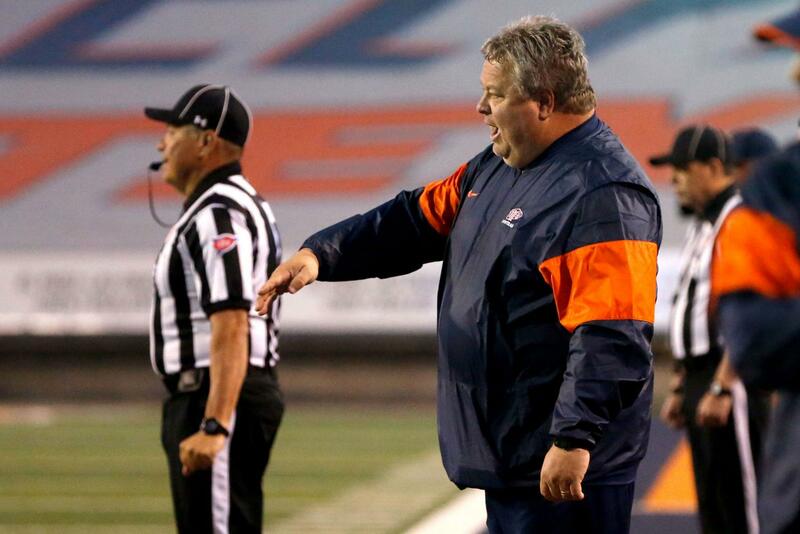 The UTEP Miners will only bring back four members of its starting defense from last season. The defense has made some strides, giving up fewer points and improving from being the worst defense in college football the previous year. The team’s top four tacklers are gone. Unfortunately, its most significant loss will be second team All-Conference linebacker A. J. Hotchkins who could very well be playing in the NFL next season. The Miners also lost their starting cornerback duo of the past four seasons in Nik Needham and Kalon Beverly. Needham is also considered a solid sleeper candidate for the NFL. Jamar and Kahani Smith have also left UTEP’s starting defense. Two-year starter Trace Mascorro decided to transfer, which leaves the defensive line some with some depth issues. The defensive line health wise is a big concern at this time along with depth. “We’re three guys down right now on our defensive line that have still not recovered from last year’s injuries or offseason surgeries so, right now, I would say our defensive end position is probably our biggest concern for depth,” UTEP head coach Dana Dimel said. The defensive line will be led by the return of senior starters Chris Richardson and Denzel Chukwukelu who are being praised for their efforts in practice with Richardson moving outside with the departure of Mosscaro. Taking over in the middle will be former starter and redshirt sophomore Dedrick Simpson who is now fully recovered from an ACL injury. The defensive line, if it can stay healthy, should be a strength of the team. The most promising freshman for the fall will be defensive tackle Jeremiah Byers from Austin, Texas. Losing a top-tier talent at linebacker will be a tough task, and the Miners have quite a few puzzle pieces to try to fill that spot. Highly regarded junior Joe Jay Smith, a transfer from Garden City Community College, has turned heads in practice with his quick grasp of the defense and seems a sure starter. Redshirt junior Jayson Van Hook, who was injured most of the last two seasons after showing tremendous promise as a freshman, is showing that same promise for this season. Sophomore Sione Tupou who started nine games as a freshman, has solidified his place in the lineup with strong practice effort that has not gone unnoticed by Coach Dimel. Senior linebacker Dylan Parsee who is still rehabbing an injury seems to be in the mix to start in the fall, but will not play in spring. Overall, the Miner defense has big holes to fill at linebacker and cornerback but returns a very experienced and talented online. The secondary has targeted fixes from junior college transfers who will have big shoes to fill in replacing four-year starters at corner.